Audi’s famous four ring logo may stand for the four companies that originally came together to create this prestige brand, but they could equally stand for four features an Audi machine is renowned for: beautiful interiors, racing prowess, classic design and, of course, precision technology. Audi’s mantra is “Advancement through Technology” and it shows. Of course all this advancement in technology requires advanced servicing as well, and here at Autoactive Car Solutions, that’s exactly what we provide. We offer a high quality car servicing, repair and diagnostics service across the entire range of Audis from our convenient Artarmon location in Sydney’s North Shore. Audi is one of the world’s finest luxury car-makers, and like all precision-built German engineering, if you look after the engine, it will last for a long time and serve you well. Neglect it, and it will end up costing you well. Audi’s car service intervals are set for every 15,000 kilometres, and if you want to keep your high tech, high performance machine humming to its fullest potential (and avoid the high performance bills) sticking to the scheduled services is a must. At Autoactive Car Solutions, we’ve been providing Audi car service for over 20 years, and we’ve worked on just about every Audi in existence (in Australia, anyway!) So when you bring it to us, you can be sure that your Audi is in good hands. We use the latest diagnostic tools and software required to service your Audi, plus we also have access to updated techniques, specialised tools and technical knowledge to ensure that we remain leaders in top class Audi care. All Audi car services, repairs, diagnostics, software update, and control module coding and programming, plus brakes, suspension, clutch, cooling system, engine/transmission service and overhaul, turbo chargers, wheels and tyres, A/C (air conditioning) service and repairs, direct fuel injection, common-rail diesel injection, SRS (supplemental restraint system), air bag, ABS (anti skid braking system), ESP (electronic stability program), PDC (park distance control) and CVT (constant variable transmission). A luxury German car can be expensive to maintain, but at Autoactive Car Solutions, we make it a little more bearable. All our oil and log book services are set at a fixed price. If your Audi needs further repairs, we give an itemised quote in priority order. We use only genuine Audi and OEM (Original Equipment Manufacturer) parts sourced directly from the importers, which also help on the cost front. 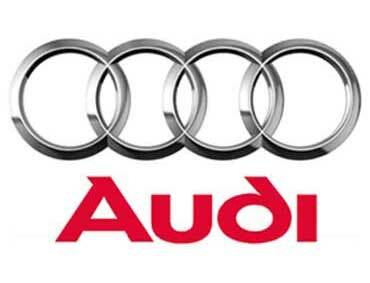 Of course all our Audi services and repairs are fully documented, and come with a warranty. As Audi addicts ourselves, we know what it’s like when something’s not quite right with your car. It could be a small misfire, or just not driving with the same power or performance, or the dreaded ‘unknown sound’ that wasn’t there yesterday, but is today. Don’t worry, we can help. Our years of Audi experience mean that we can diagnose and fix problems much more quickly and easily than an ordinary mechanic. Of course we can also make sure your Audi looks as good as it runs by fixing bumps, scratches, small dents and scuffed paint. We don’t need to tell you that owning an Audi is a great experience. Its stunning interiors, sporty engine, classic design and incredible technology put it in a class of its own. We love working on Audis, and here at Autoactive we have all the tools and equipment required to keep them in top condition. 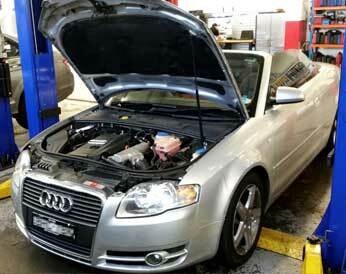 So when you need your Audi serviced or repaired by an expert, bring it into us. Don’t wait. Give us a call on 9436 3804 and let us look after all your Audi car service needs.